(Evangelical Focus) — Almost two weeks after a 7.5 magnitude earthquake and tsunami devastated homes, businesses and churches on the Indonesian island of Sulawesi, the death toll has risen to more than 2000. 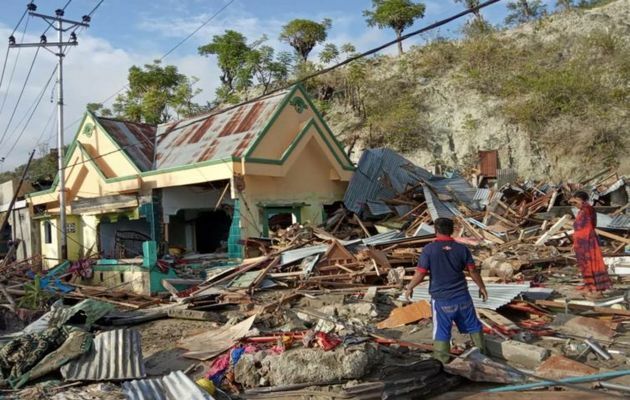 “On October 11, we will hold joint prayers in Balaroa, Petobo and Jono Oge areas of Palu city to end the evacuation of bodies,” the national disaster mitigation agency spokesman Sutopo Purwo Nugroho said. Agency spokesman explained that efforts to retrieve bodies will not continue because of the difficult terrain and advanced state of decomposition, that made the bodies unrecognisable and could cause contamination. The quake in Palu caused loose soil to liquefy, swallowing houses and burying the occupants with them and that could provoke the spread of disease.